If you wish to support the work of Plamen and Kremi in any way, please get in touch with the TEN office. 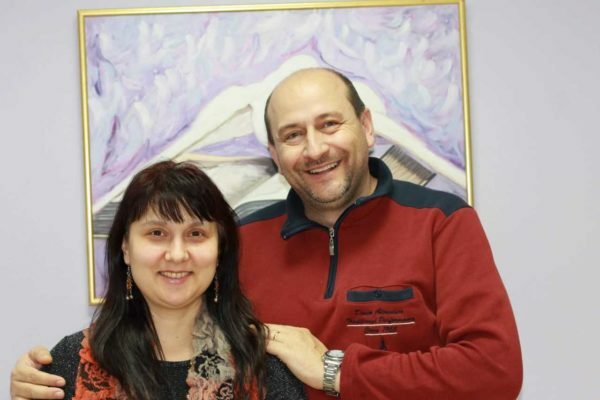 Plamen came to Christ immediately after the fall of communism in Bulgaria in 1990. In the same year, he began to travel and found churches in the neighboring villages. His travels often meant walking up to 30km. Plamen and his wife, Kremy first served God in their own city before God told them to move to Sevlievo. They started a new Shalom church in 2005 and everything was very difficult. The place where they worked was in the centre of Bulgaria. In this region there are many Muslims and there are no evangelical churches around us. We have people who come to our church from other communities. For this reason, they train workers and establish churches in other towns and villages. This has resulted in a lot of spiritual and physical persecution. Over the years they have been attacked in very harsh ways. In 2010 at night, some people set our church room on fire and we lost some possessions. It was very hard and they were tempted to give up. God gave them strength to continue, and they restored the rented room. Today this hall is already small and they need a much larger room for church meetings. The nursery is also very small. They need a big hall to continue the work of God. Today, Plamen and Kremi work hard in the following three areas: evangelism, discipleship and leadership, and the challenge is to juggle their many commitments. Evangelicals in the country stand at only 1.9%. Pray for new people to be saved in the city of Sevlievo. Pray for a family to become assistant pastors in the church. Pray that God would provide our own church building, because rents are very expensive and the premises are very small and inappropriate for church ministry. Pray for the spiritual and physical health for everyone in my family. Pray that Plamen and Kremi’s children will find friends who are believers.